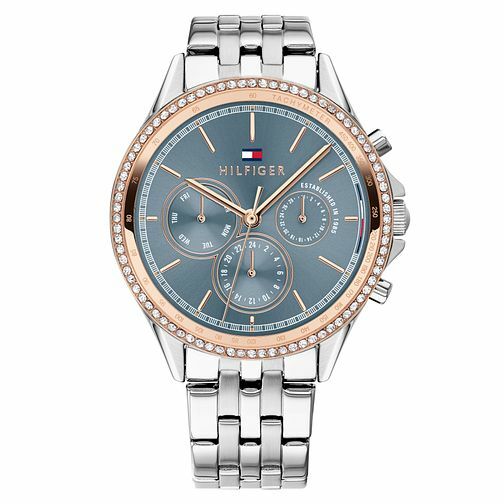 A captivating ladies' chronograph watch from Tommy Hilfiger. Featuring a 38mm two-tone gold plated and stainless steel case with crystal set bezel, blue sunray dial and stainless steel bracelet. The Hilfiger flag logo sits towards the 12-o-clock position, and the day and date displays are presented upon sub dial designs.